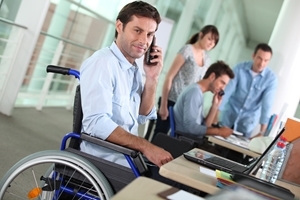 One of the most important pieces of legislation to influence employee management in the modern workplace was the Americans with Disabilities Act of 1991. Despite the fact that this law is in its 23rd year of enforcement, there are still a number of companies that either don’t understand the nuances of the act or remain willfully ignorant. Regardless of the circumstances, business owners are responsible for educating their human resources directors and managers on the ins and outs of the ADA and its amendments to prevent legal action. Myra Creighton has been with Fisher & Phillips, LLP since 1993 and specializes in ADA and Family and Medical Leave Act claims. She spoke with us to illuminate the finer points of the legislation as they relate to talent management and recruiting. Q: Who’s covered under the ADA? A: Any individual who has a disability, an actual disability, which means you have an impairment that substantially limits you in a major life activity. The word “substantial” would suggest just what that term means, but it doesn’t. [When] the ADA Amendments Act was passed, Congress asked the Equal Employment Opportunity Commission to redefine this term so that it’s broader. Rather than defining it, the EEOC came up with a bunch of guidelines for it. In the statute itself, one of the issues [that hadn’t been there] before was if you had a mitigating measure, such as medication or prosthetic devices, you weren’t disabled. Now, you can’t take into account, in analyzing whether someone is disabled, their medication. So, of course, most insulin-dependent diabetics are going to be disabled. People on high blood pressure medication, when you have to consider them in their unmitigated state, are going to be disabled. Q: Have you seen the laws change a lot? A: Well, certainly the ADA has changed significantly with the passage of the ADA Amendments Act. Prior to the ADA Amendments Act, employers won probably 95 percent of ADA cases. And they won it on the issue of “You’re not disabled.” It is very difficult to establish disability, and, frequently, when someone established they were disabled, they also established they were not otherwise qualified. So, it was a real problem for plaintiffs to get anywhere, and there was a lot of litigation on what’s a disability and what’s not, not so much on an employer’s affirmative defenses, like business necessity and undue hardship. Now it’s the focus the EEOC wanted, and that’s driving the analysis to reasonable accommodation. Q: Can you talk about what’s considered reasonable? A: You have to accommodate an actual disability and potentially a record of the disability. You do not have to accommodate a perceived-as disability. Basically, a reasonable accommodation is something that allows you to perform the essential functions of your job or to have the same benefits and privileges of your position. So an easy one is: “I’m in a wheelchair, there is a small cafeteria on site, and yet it’s not accessible to me in my wheelchair. I can’t get the door open.” That’s an easy fix. Then there are things like a finite amount of unpaid leave, a reduced part-time schedule for a finite period of time. It could be that you put things to me in writing because I’ve got some mental impairment or learning impairment. The easier thing is to say what’s not a reasonable accommodation. It’s not a reasonable accommodation to provide indefinite leave, eliminate an essential job function or be required to simply ignore misconduct, even if it’s disability-related. So, the alcoholic who says, “Yes, I know I was drunk at work, but you still can’t fire me, you need to accommodate me and excuse it,” you’re not required to do that. Once you hit on what’s reasonable, the question is: Is it an undue hardship? It can be an undue hardship in a couple of different ways. One way is if it’s a financial hardship. That’s a pretty hard defense to prove unless you’re a mom-and-pop employer with 15 employees. The other way is if it imposes a significant disruption to the business. Q: What are some of the other challenges that employers might experience when complying with the ADA? A: Let’s just say you’ve got someone who has gone through their chemo treatment, but now they’re suffering from chemo fog, which deals with somebody whose short-term memory is not good, [and] staying on task may be difficult. There are a number of fact sheets, guidances the EOC puts out, [but] what do you do? That’s a situation where it’s a little bit difficult to figure out what the accommodation is. And sometimes you create [customized] tasks, and in some jobs it may work and in some jobs it may not. So you have to look at a case [where] there’s a gap between what their condition allows them to do and what the job is. What you have to do is figure out what’s that bridge between those two things. Is there a bridge that would allow them to do that? Q: Regarding compliance, would you say that HR professionals have similar challenges to employers, or would they have any unique challenges? Now most companies are savvy, and still today, one of the biggest issues that comes up – and it’s on the EEOC’s strategic enforcement plan – is the issue of leave. So you get 12 weeks of FMLA leave, and that’s job-protected and it doesn’t matter what kind of undue hardship that leave imposes on the employer. Undue hardship is irrelevant for that 12 weeks of time. The person exhausts their leave. You can’t just say at that point, “Hey, you have to come back, or we’ll let you go.” Now you’ve crossed from “FMLA Land” to “ADA Land.” The most frustrating part there is that undue hardship does matter, but there’s not a finite period of time that’s reasonable. But there’s a process, almost a flow chart in a sense, that you have to work your way through because one thing is a good-faith effort to accommodate a defense to compensatory and punitive damages under the ADA. So, even if you end up with a claim of failure to accommodate, it may be that you made this good-faith effort and you’re at least cutting off some damages. And you should be making an effort to accommodate anyway.